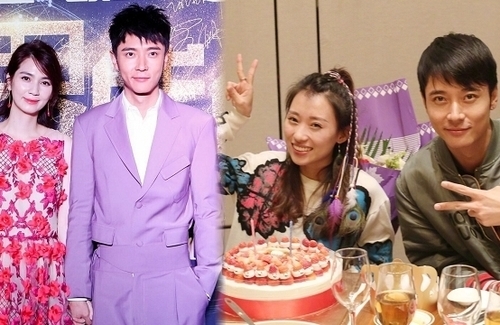 Mainland actor Andy Zhang (張丹峰)’s infidelity to his wife Catherine Hung (洪欣) rocked the entertainment circle yesterday. 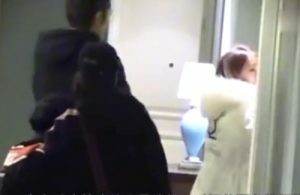 His nine-year marriage with the 48-year-old actress was put on the line when he was exposed of meeting with his manager Bi Ying (畢瀅) inside his hotel room during the middle of the night. Today, the Mainland media released a video detailing the affair. While the 38-year-old actor was filming in Chongqing, he would get off work around 10 p.m. every night. 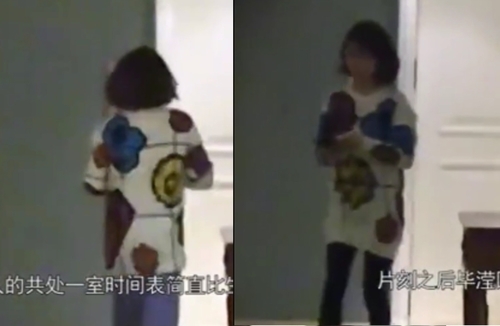 In the video, Andy entered his hotel room with Bi Ying and his assistant after finishing work. 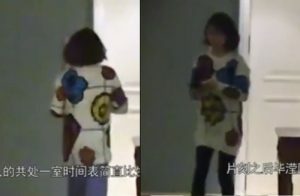 Bi Ying was seen leaving the room with Andy’s assistant, but she reentered his room 10 minutes later and stayed until the morning before returning home. Strangely, Bi Ying wore a pair of black trousers when she entered the room, but she left in a pair of light-colored loose-fitting pants. Although the cheating speculations are a hot topic, the three parties involved have yet to respond directly. 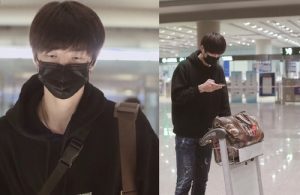 On the other hand, Catharine’s 18-year-old son Ashley Zhang (張鎬濂) was visibly distressed at the Beijing Capital International Airport. He was preparing to fly to Thailand for work, but he appeared tired and kept checking his phone. Fans said Ashley repeatedly said thank you many times. Damn!! The ones suffered the most in this kind of situations are always the children, the innocent….The boy’s exposed eyes were deep in sorrow….